Below you fill find all funeral homes and cemeteries in or near Milan. Milan is also known as: Rock Island County / Milan village. Zip codes in the city: 61264. Some of the notable people born here have been: (ralph fletcher seymour), and (ken bowman). Milan (pronounced MY-lan) is a village in Rock Island County, Illinois, United States. 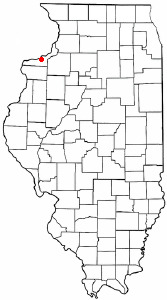 The population was 5,099 at the 2010 census.The village is located near the Quad Cities of Illinois and Iowa. Before ceasing operations in 2003, Eagle Food Centers was based out of Milan. It was reported on May 2nd, 2016 that Audrey E McKeown (Ransom) passed on in Milan, Illinois. Ms. McKeown was 92 years old and was born in Fairfield, NE. Send flowers to share your condolences and honor Audrey E's life. It was revealed by Waterloo/Cedar Falls Courier on October 22nd, 2015 that Mary Kay Collins (Willits) passed on in Waterloo, Iowa. Ms. Collins was 67 years old and was born in Milan, IL. Send flowers to share your condolences and honor Mary Kay's life. It was revealed by Peoria Journal Star on February 5th, 2015 that Daryl Dean Littlefield died in Milan, Illinois. Littlefield was 64 years old. Send flowers to express your sorrow and honor Daryl Dean's life. It was reported by Daily Republic on April 1st, 2014 that Esther L Hoffman (Dean) passed on in Mitchell, South Dakota. Ms. Hoffman was 90 years old and was born in Milan, IL. Send flowers to express your sorrow and honor Esther L's life. It was revealed on May 15th, 2013 that Glenda Rae Balty (Garton) died in Milan, Illinois. Ms. Balty was 79 years old and was born in Formoso, KS. Send flowers to express your sorrow and honor Glenda Rae's life. It was reported on May 7th, 2013 that Glenda Rae Balty (Garton) died in Milan, Illinois. Ms. Balty was 79 years old. Send flowers to express your sorrow and honor Glenda Rae's life. It was revealed on April 11th, 2013 that Charles K Clark passed away in Milan, Illinois. Clark was 76 years old. Send flowers to express your sympathy and honor Charles K's life. It was revealed on August 24th, 2012 that Donna E Wilkins (Jacobson) passed on in Milan, Illinois. Ms. Wilkins was 88 years old. Send flowers to express your sorrow and honor Donna E's life. It was revealed by Peoria Journal Star on February 1st, 2012 that Glen E Faucon passed on in Milan, Illinois. Faucon was 77 years old. Send flowers to express your sympathy and honor Glen E's life. It was noted on January 28th, 2004 that Merle P Coulter died in Milan, Illinois. Coulter was 75 years old. Send flowers to express your sorrow and honor Merle P's life. Originally platted along the right-of-way for the Hennepin Canal, in 1837, the village site was called in land speculation papers "Hampton" (not the town in Illinois, approximately 13 miles north-northeast, on the Mississippi River--see Hampton, Illinois for more). Milan is a village in Rock Island County, Illinois Island County, Illinois, United States. The population was 5,257 at the 2000 census. The village is on the Rock River (Illinois) River in northwest Illinois, about 4 miles upstream of its outlet to the Mississippi. Along Mill Creek, the industries of wool-carding and (river clamshell) "pearl" button-making helped rename the village by 1841 as Camden Mills. The village has "sister cities" in Missouri, Tennessee, and Michigan. The official website for the city of Milan is http://www.milanil.org/. We work with local florists and flower shops to offer same day delivery. You will find budget sympathy flowers in Milan here. Our funeral flowers are cheap in price but not in value.